The Indian Institute of Mass Communication (IIMC) entrance exam results will be released on the official website of the institute – iimc.nic.in. The IIMC entrance exam application process started on March 20, 2018, and the examinations for all courses (other than Urdu, Odia, Marathi and Malayalam) were conducted on May 27, 2018. 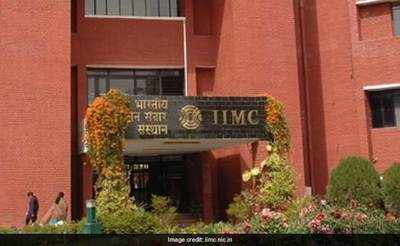 NEW DELHI: The Indian Institute of Mass Communication (IIMC) entrance examination 2018 result was declared today at around 5 PM on the official website of the institute. A notification available on the official website of the IIMC stated that the results for the IIMC entrance examination 2018 will be declared at 5:00 PM on June 21. Later, the entrance exam for remaining courses (Urdu, Odia, Marathi and Malayalam) was held on May 26. The IIMC first semester classes are expected to start from August 1, 2018.